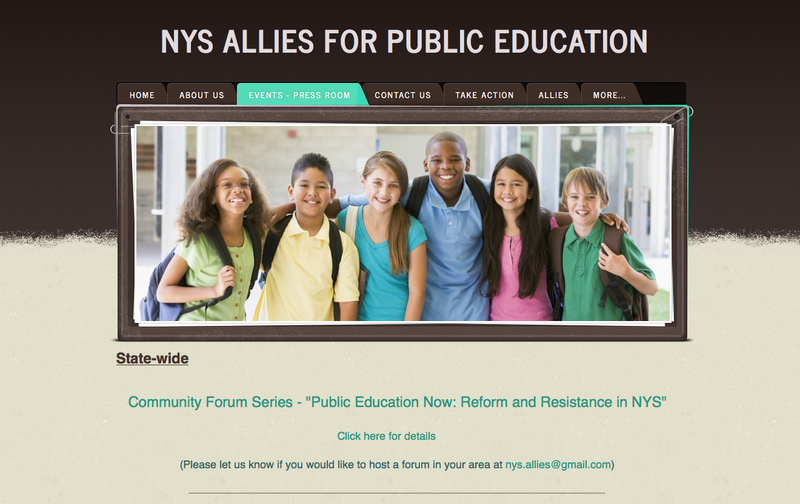 Several forums on testing and the Common Core have been held and many more have been scheduled across New York State. Unlike the meetings convened by Commissioner King you will hear from real experts in education. The presenters will have the opportunity to give detailed discussions on the state of our schools instead of two minute speeches followed by Commissioner King defending his policies. 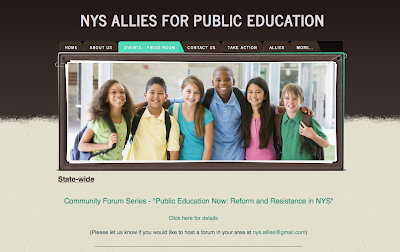 NYS Allies for Public Education represents many education groups from across the Empire State.